A good pair of headphones are absolutely essential if you’re going to get the most from your favourites albums, podcasts and radio shows. 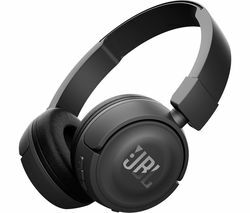 JBL headphones are some of the most respected headphones on the market and are a fantastic choice for those individuals that desire a comfortable, high quality product that allows you to listen to your devices privately. 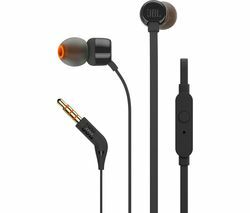 Available in a diverse array of styles, including both in-ear and on-ear, all JBL headphones have been designed with a specific purpose in mind. For instance, the JBL Under Armour Sports Wireless Bluetooth Headphones are designed to withstand the demands of rigorous exercise. Consequently, they’re hardy, durable, and both sweat and water resistant. On the other hand, the JBL E45BT Wireless Bluetooth Headphones are ideal for everyday use, and boast a handy foldable design, great smart phone compatibility, and a detachable cable, letting you choose between wireless and wired connections. When it comes to headphones JBL can be trusted to provide high quality solutions, time and time again. With excellent sound quality, incredible comfort, and a reputation for durability, JBL headphones are ideal for the modern listener on the move. Many JBL products are also packaged with a 3 month Deezer Premium+ offer, giving you the opportunity to test out the digital audio streaming service on your new headphones for free. However, if you’re looking for something a little different, we also stock a diverse array of headphones from other manufacturers. Whether you want beats headphones, or a pair from Sony, Bose, Skullcandy, Apple, or Philips, we’ll have what you’re looking for. We also place an emphasis on ensuring we offer headphones that employ a wide variety of technologies. You can view all wireless headphones online, as well as our range of noise cancelling, quick charge, and over-ear headphones.